Zelda Dungeon Presents: A Week of Love, From February 11th to the15th. It’s hard to believe it, but it’s already that time of month: Valentine’s Day. Some dread it and some love it. Well, here at Zelda Dungeon, we’re going to make this week a bit better for you! And that means it’s time for another themed week! We all have our ‘ships and our favorite characters that we would love to see our Hero with, but this won’t just be about Link! I mean, everyone deserves love, right? The team will be celebrating our ‘ships and couples from across the Zelda franchise, so don’t miss out! What can you expect from our Week of Love? These will each contain different aspects of love and romance in the Zelda series and in the Zelda fanbase. Many of our writers have written short pieces of fiction representing different love stories in the Zelda series. You can expect short stories, poetry and more. This will include Daily Debates, Contests, etc. We will of course be continuing to dish out news related to Zelda and Nintendo! Week of Love will be happening for five days, running February 11th through February 15th. 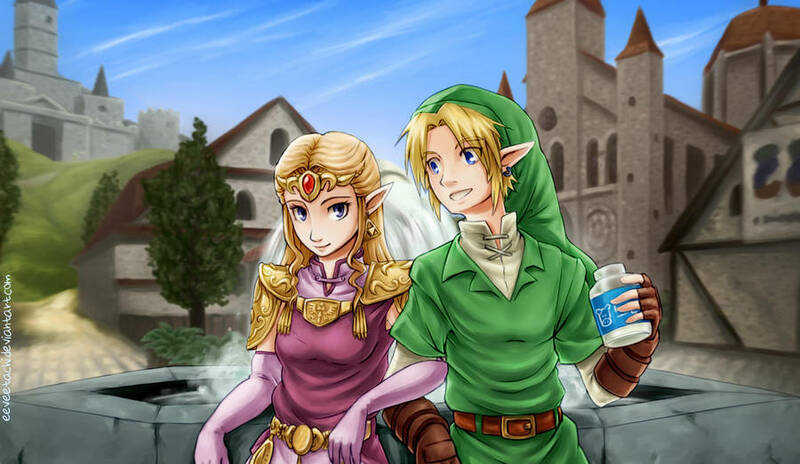 Be sure to join us and share your favorite romantic and platonic relationships from the Zelda series, be it canon or not! Featured image is by the amazing Eeveetachi on DeviantArt. The image can be found here!